Thanks for pointing this out. It looks like the file that controls this Arrows list was damaged in some way during the release of PSE8. Only arrow 11 is available in the Arrows group. 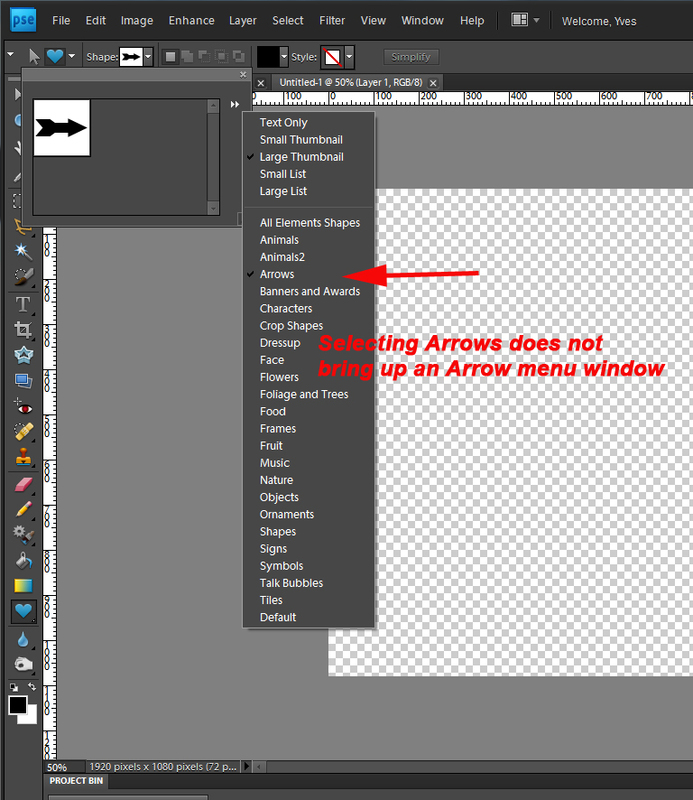 However, the entire group of arrows is available if you go to "All Elements Shapes" in that same list. By pointing this out I found that the Crop Shapes is also missing two from it's list, which again are available in the "All Elements Shapes".